Fitch Ratings on Wednesday assigned Viet Nam’s National Power Transmission Corporation (EVNNPT) a long-term foreign-currency issuer default rating (IDR) of 'BB' with a stable outlook for the first time. Fitch Ratings, one of the ‘Big Three’ credit rating agencies based in the United States, said in a statement released on April 10 about the creditworthiness of Vietnam’s National Power Transmission Corporation (EVNNPT), which further demonstrates the strong credit profile of the country’s power companies. EVNNPT’s rating reinforces its creditworthiness and enhances its transparency, in line with international standards. This development enables the corporation to diversify financing sources and issue international bonds. 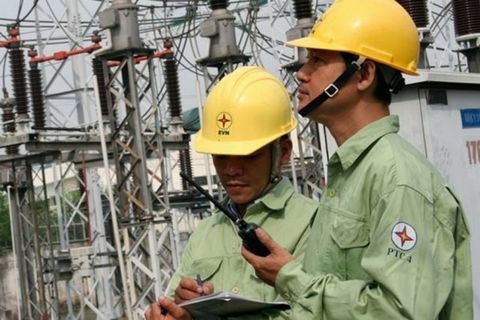 It is now better positioned to deliver on its mission to ensure safe, uninterrupted, and stable power transmission to serve the needs of Vietnam’s people and businesses. Dang Phan Tuong, chairman of the board of directors of EVNNPT, said in a statement that the corporation needs to invest around US$700-800 million annually to meet its investment requirements under Power Sector Development Plan 7. The World Bank’s Energy and Extractives Global Practice supported the credit rating exercise in collaboration with the Singapore-based Global Infrastructure Facility (GIF) team, which managed the technical support, and financing from the Public-Private Infrastructure Advisory Facility (PPIAF). The WB support included appointing the Japan-based Mizuho Bank to prepare for the credit rating readiness and the rating exercise. The electricity transmission network is the backbone of a power system and of critical importance to provision of reliable and sustainable power for Vietnam’s socio-economic development, said Ousmane Dione, country director for the World Bank in Vietnam. He said that following EVN, the positive credit rating will enable EVNNPT to access new sources of commercial financing without sovereign guarantees that can complement traditional sources of financing such as government budget or official development assistance in further investments to address transmission network bottlenecks to integrate and scale up solar and wind energy. Vietnam’s development record over the past three decades has been significant. Economic and political reforms under Doi Moi, launched in 1986, have spurred rapid growth and development and transformed Vietnam from one of the world’s lowest income nations to a lower middle-income country today with the 2018 gross domestic product per capita above US$2,500.